Lebanon, IN - Relationships often rekindle after spending time apart, the same goes in racing. 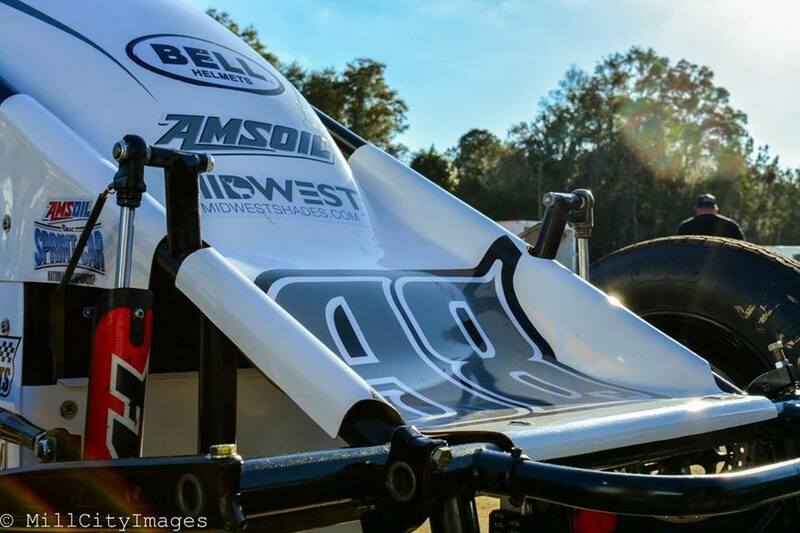 After spending time apart Chad Boespflug and Eberhardt Zirzow Racing have come together again and we are pleased to announce that for the 2019 Season Boespflug will drive the EZR #98e non wing sprint car. "It's great to be back with Chad, we had an incredible year in 2016, with some major wins. In 2017 that same success was hard to find, so we went our separate ways. 2018 brought change for EZR with Kyle Cummins as our driver, with an up and down year. We were forced to part way at the end of the season due to Kyle's work schedule. Chuck Eberhardt, Co Owner of EZR, and I would like to thank Kyle and his family for a fun year. We felt it was no better time to team back up with Chad than now. We at EZR are extremely happy to be able to go back home to a fit where we felt everything worked as one before. We have learned from our time apart, but feel we benefit each other and are confident we can once again find the chemistry that leads to results on the track. We are hopeful we can take our success from 2016 and just turn the 6 around to a 9 and strike success again." - Fred Zirzow, Co Owner of EZR, expressed about the decision to race Boespflug full time in 2019. EZR will begin the 2019 Season at Bubba Raceway Park in Ocala, FL during the USAC Winter Dirt Games in February. Following their trip south EZR plans to race USAC National Sprint Car Events and select other races this year. A full schedule of events will be released at a later date. Follow Chad Boespflug Racing via social media outlets to stay up to date throughout the season. Abreu Vinyards, Amsoil, Arizona Sport Shirts, Astro Titanium, Bell Helmets, Butlerbuilt Seats, B & W Auto Mart, BMRS, BR Motorsports, Capitol Renegade and Custom Trailer Sales, Competition Driveline Services, Claxton Engines, Creative Finishing, DMI, Driven, FK Indy, FK Rod Ends, Fox Paving, HSD, Hoosier Tire, Howard Law, HRP, Indy Race Parts, InTech Trailers, Lex Burritt Inc., Malvern Trust & Savings Bank, Manvel Motorsports, Maxim Racing, Midwest Shades, PAC Racing Springs, RevvedUp Industries, Rob & Jo's Body Shop, Saldana Racing Products, Schroeder Torsion Bars, Shaws, Schoenfeld Headers, Simpson Race Products, STIDA, Walker Performance Filters, Weld and Wilwood.